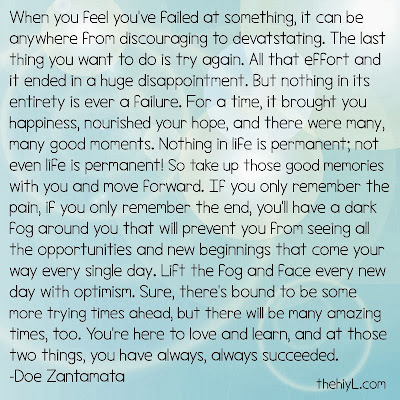 When you feel you've failed at something, it can be anywhere from discouraging to devastating. The last thing you want to do is try again. All that effort and it ended in a huge disappointment. 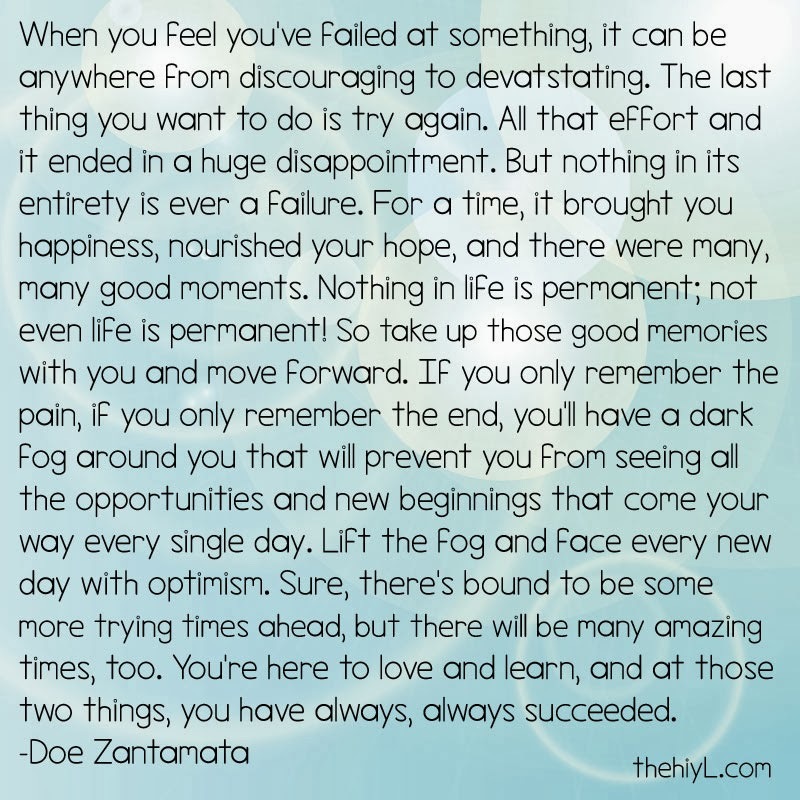 But nothing in its entirety is ever a failure. For a time, it brought you happiness, nourished your hope, and there were many, many good moments. Nothing in life is permanent; not even life is permanent! So take up those good memories with you and move forward. If you only remember the pain, if you only remember the end, you'll have a dark fog around you that will prevent you from seeing all the opportunities and new beginnings that come your way every single day. Lift the fog and face every new day with optimism. Sure, there's bound to be some more trying times ahead, but there will be many amazing times, too. You're here to love and learn, and at those two things, you have always, always succeeded.